Hi Laura! How are you, Happy new year!!! Well, the wedding was perfect, but I don't have any photo to show you. I am waiting for the photos, do you know when we receive it? The previous day we went to look for the palace cavalli, to know where it was exactly and knew the woman that I marry us, that was charming and show the room. It was a nice moment. On the 30th, the branch of flowers I come to the 9.30 exactly to our hotel, it was precious. I went to a hairdresser's shop that was next to our hotel and we went away to marrying. When we come, we were waited in the door by the photographer, Marco, who was very nice. When we rise, there were they all, the interpreter, Alexandra, very nice and it raises habia studied 9 months in Valladolid, my city, that chance. Spanish was speaking very well and was charming. 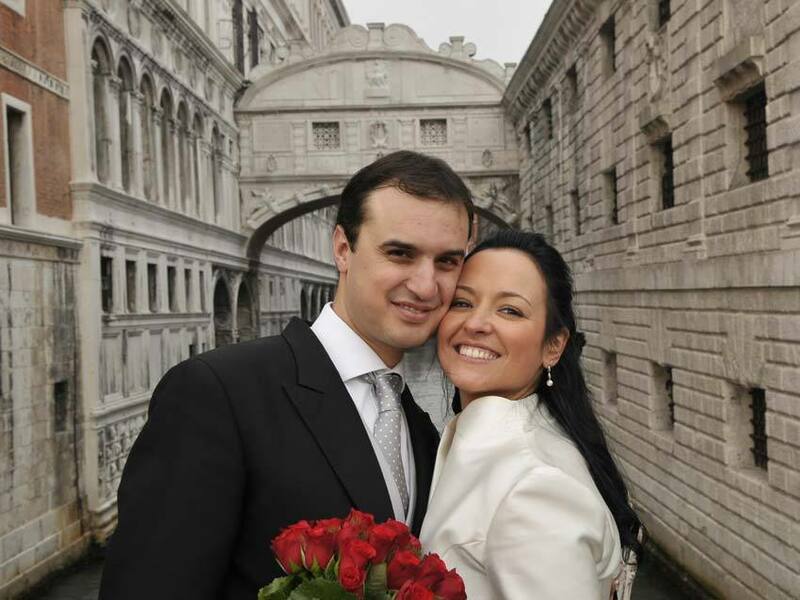 2 witnesses, Stefano and Luca and the whole world surprised at that was a secret wedding and nobody knew anything. I have photos with all. But, for us... was PERFECT!